Today, an in-depth look at the powerful tactics Daniel M. used to increase his earnings by 415% in only one year. Whenever I talk about earning more money, a certain type of person will always complain bitterly about “sleazy sales guys” and how “it’s all about who you know.” They believe the world is stacked against them. Miscommunication is a common problem, especially when technical people have to deal with non-tech-savvy management. Everywhere Daniel worked, he could trace all of his mistakes back to the weeks of vague communication that dragged on before any actual work got done. That’s when he learned the value of scripted questions and shifted his perspective. Most tech people blame the “clueless” management for miscommunication problems, but Daniel figured out a way to guarantee clear communication every time. Daniel is an IT consultant specializing in data backup services. After 10 years of working for other people, he was sick of dealing with bureaucracies that hired him for jobs but didn’t give him the authority to do things properly. In 2009, he decided that it was time to break away and start his own consulting business. First, he solved his bureaucracy problem by choosing to work with small businesses. Most owners were so busy that they didn’t have time to second-guess every technical decision he made — they just trusted him as the expert. Unfortunately, by year two, business had slowed to a trickle. Prospective clients with issues he could easily solve wouldn’t respond to his emails or return his calls. The most frustrating part was that he knew exactly what they needed — he just had trouble getting that across to them. Daniel began to feel unsure of himself and nervous about making mistakes. Every time he mentioned his rate he felt the need to justify it. Even though he was confident in his abilities, he was worried that the client wouldn’t appreciate his expertise. Sometimes he felt so unsure about meeting their expectations that he wouldn’t even bill them for his work! In January 2010, he signed up for Earn1K to help him refocus. Daniel found that simply telling a business owner what they needed was usually met with, “Oh, you’re selling something — get out of my face.” Most people would give up here, assuming that the client simply wasn’t interested in their product. But Daniel knew that his service was good; he just needed a new approach — one that would get inside the client’s head and speak to them in a way that they could understand. Daniel had to shift his perspective and understand where the client was coming from. Backing up your data is like healthy eating or exercising — we all know we should do it… someday. So how could he convince them to do something about it today? Have you ever had a server crash? Had a laptop stolen? Hard drive failure? Lost data? THESE are the kinds of questions that get results, Daniel learned. Small business owners don’t care about backup — they care about not losing important data. Rather than telling them why backup is important, Daniel let them convince themselves by leading them to picture worst-case scenarios and problems they’d had in the past. How did a loss of data affect their business? Did they waste days of employee time redoing lost work, or lose something they could never get back again? Now clients were open to hearing more. Daniel carefully prepared scripts that all but sold his service for him. He figured out which issues would be the biggest pain points for a business owner, and then used the appropriate script to get that across to them in language they would respond to. At this point, he would explain how his service provided completely automated backups, and that their data would be fully encrypted — an issue they hadn’t even thought of. This way, he addressed their need and added even more value. Plus, he would provide weekly status reporting and a yearly full recovery test to prove the backups were working. Every single time he’s used this approach, it’s gotten him a sale. Daniel’s biggest fear when he started out freelancing was of letting clients down because of a misunderstanding. Looking back, he recognizes that he kept key details of his service much too vague. Because of that, he always felt uncomfortable with his rate (and some of his clients took advantage of that). With his new strategy, Daniel uses the information he gets from his scripted questions to create a concrete list of deliverables for clients right at the beginning. He understands that most small business owners don’t care about IT jargon, so he works hard to identify each client’s perspective and uses language that makes sense to them. Then, he has them agree — in writing — on exactly what he will deliver, in what timeframe, and in what format. Now that it’s all laid out in detail, there are no more misunderstandings, and he feels completely confident with his rate. Not only that, but he’s found that high-level clients actually want a more detailed contract — it makes him seem more professional, and everyone involved has more accurate expectations. Identify the client’s needs and fulfill them. It seems obvious, so why do so many people have a problem with this concept? Daniel thinks it’s because — once we’re really good at something — we forget the process it took us to get there and how much time we’ve invested. Solutions seem obvious to us — and technically, we may be right — but earning more money via a service offering is a relationship business. You have to get to know the client and convert your services into terms they can understand. Then, you have to lay it all out clearly — right at the beginning — to make sure everyone’s on the same page. 100% of Daniel’s business is from referrals. After watching him complete every single deliverable on the list, his clients are more than happy to recommend him to their friends. Daniel has increased his first quarter profits by 415% over last year. Compare this to technical people who complain about “sleazy sales guys.” In truth, they are simply failing to understand how truly ethical marketing works: by putting the client first and deeply understanding his hopes, fears, and dreams. Daniel attributes it all to that “light bulb moment” when he decided to switch his approach and began focusing on identifying his customers’ needs and creating a concrete list of deliverables to address them. Ever since that day, he’s continued to refine his process and improve his scripts, and his results keep getting better and better. His goal for 2011? 50 new backup clients. That number will generate a strong enough revenue stream that he’ll have complete freedom to choose what he does next — whether it’s more backups, or a totally different area of IT consulting. 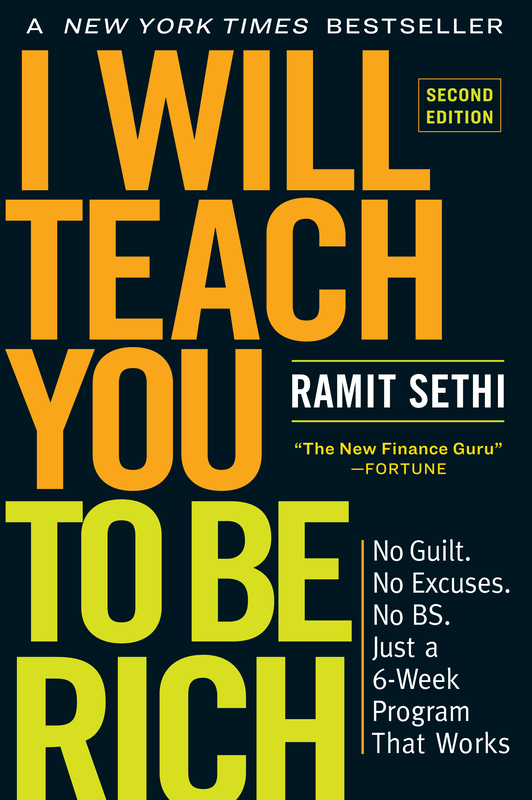 Note from Ramit: If you’re interested in learning the very same techniques I use to deeply understand my readers — including several sophisticated techniques and frameworks I’ve never shared on this blog — join to get a free 30-day course on earning more money. Seems like Daniel needed to learn how to sell himself more effectively. I’m going through the book SPIN Selling. Looks like Daniel learned how to investigate their needs and demonstrate his capability to meet those needs. He was able to find their pain points, build up his perceived value, and successfully get their commitment. This is one of my favorite case studies for Earn1K. Makes getting/keeping happy clients seem as easy as sipping tea and having your feet up. Everyone is always thinking, “What is in it for me?”. If you instead start their and tell them the problems you can solve, they don’t really care about how you do it or how much it will cost. If the problem is dire enough and you can solve it, just do it! That is the easiest way to sell in my experience, use their thoughts and ideas to sell them your product. Nice to meet you on Thursday Ramit (http://tinyurl.com/4ylsqv7) – this post is very timely. As I’m entering the clinic portion of my dental career next week, I’ll have the opportunity to split test different approaches I take to presenting a treatment plan to a patient, recording their response, and ultimately find the best approach to get patients to understand and accept the treatment plan that will be the best for their health. Business owners also dislike the idea that someone else can tell the something that’s right under their nose. There is a touch of arrogance to it, and that’s why suggesting what’s wrong instead of telling them straight up works better. I can’t believe this post doesn’t have more comments! The technique you describe, especially the one of moving the client’s awareness to where they sell themselves is so powerful that it should be kept secret! I’m serious! Good stuff Ramit- I agree with Ergest! Seems to me like Daniel did what most successful businesses do- create a system. Im guessing he could even scale his business much more easily now that he knows how to sell his services. Great post Ramit! I think many of us readers are looking forward to more great case studies from you. It really resonates with how Anthony Robbins says that whatever we do it either linked to pain or pleasure. By showing potential clients the pain they will have to endure if they fail to take action, they would be more likely to respond to his offers. Great story. It’s so true, people don’t like to be sold, but the like to buy. “Businesses don’t care about backups” – great point. We often forget businesses wake up in the morning thinking about their problems, not ours. We have to continually remind ourselves to put ourselves in the shoes of the customer. This post was a good reminder. This post is so useful for many start ups like us!